Moleskine notebooks are among the most beloved tools in an artist’s bag and have been for generations. 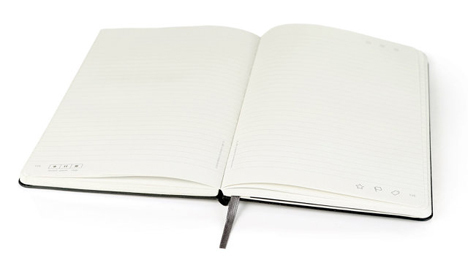 But in a world that is increasingly paperless, how can a company that sells paper notebooks hope to stay relevant? 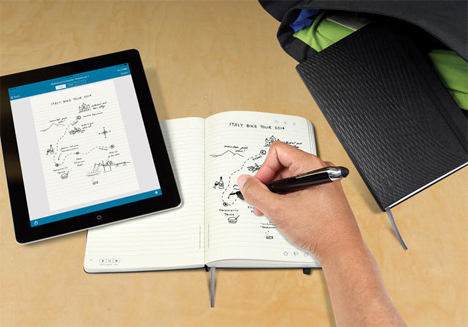 Moleskine has done it by teaming up with Livescribe to make a sketch pad that automatically backs up to your iPad. Livescribe is already known for its digital pens that turn your analog scribblings into better, neater, storable versions. Teaming this technology with Moleskine is pure genius. The pen is programmed with the exact dimensions and lines of the paper, so it really does back up your doodles and notes to look exactly the way they do in the notebook. Each page of the notebook features three printed icons at the bottom: a star, a flag, and a tag. Tapping any one of these lets you tag that page for easy reference later. Audio icons along the bottom of the page also let you record verbal notes to go along with each sketch or note – just tap record, play or pause to access the features through the pen. Everything you do is automatically transferred to your iPad for safekeeping and for later digital manipulation if so desired. 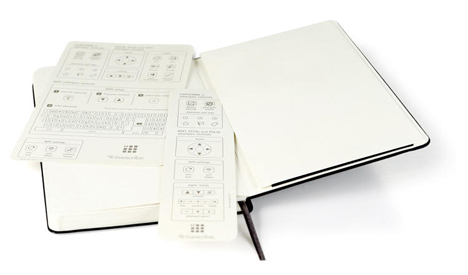 The back of the notebook is outfitted with Livescribe bookmarks that let you access the full range of the smartpen’s features. The pairing of Moleskine and Livescribe is a big deal for artists who want to work more with digital media but are fiercely attached to the feeling of using their Moleskine notebooks. 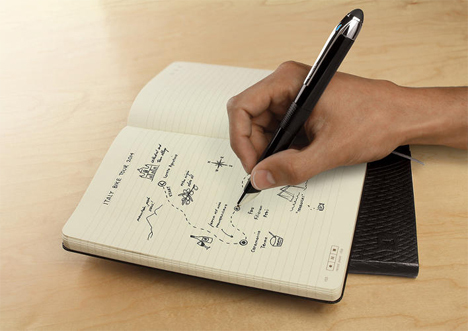 The Livescribe Notebook by Moleskine will set you back $29.95 (US) and a Livescribe pen goes for around $200. The only catch? Livescribe is only compatible with iOS devices, so you’re stuck working with an iPad whether you like it or not. See more in Digital Design or under Technology. August, 2014.